A world, where Lil Jon, Steve Aoki, and Laidback Luke are all friends. Also, a bunch of awkward people on stage celebrating. Our good friends over at Infernal Techno proverbially “went in” in this well written post about Atlanta’s self-inflicted inability to take it’s electronic music scene seriously. 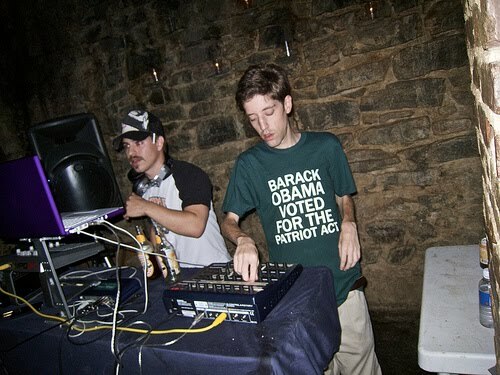 Atlanta is undeniably a music town, and will likely always have a legacy as such but everybody here halfway affiliated with the electronic music scene will attest to a widespread inability to take anything seriously. That being said, I am certain the sentiments raised below are specific to my city alone. Without even realizing it, Atlanta promoters single out their crowds, shame their ignorance on musicians and tell them there’s no better place in the city than their parties. This sort of backhanded welcome is embraced by more than just a few promoters; it seems to be an adopted form of advertisement. I don’t know about you, but when I’m told I’ve been sleeping under a rock because I don’t know who Johnny Digital is from Nowhere, USA, I have a lesser interest in finding out. A few things I found missing from the New York Times piece, I feel the writers failed to mention the amount of good corporate money fostering valuable contributions to the music industry. New York Times goes in-depth on the rise of corporate funding for underground electronic dance music. Fresh off the heels of Ultra Music Festival last month, and the sentiments from PercussionLab last week, and a related post today, sharing this article felt appropriate. Sadly, I read last evening that Filter (formerly The Mark Ultralounge, and prior to that Karma), the Atlanta nightclub will be closing its doors permanently this evening. Similar to many local EDM fans, I have quite fond memories of this place; it was the home of 404Audio’s “Transit” event, which brought the premier names in drum-and-bass at the time to Atlanta. For me personally, the clubs time as The Mark Ultralounge name is what I remember most; it stands as the first real club I DJ’d in. I had played live in front of audiences before, however never anywhere in a major metropolitan city utilizing a legitimate sound-system, and the whole nine yards. 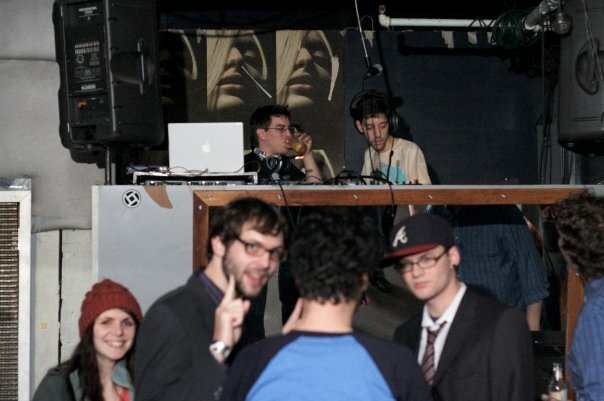 That event, in 2007, featured me and Scott (Shakedown) playing a solid set of early dubstep before Richard Devine and The Glitch Mob took over the headlining spot. Obviously, it’s a night that stands out for me in my short experience of playing out in clubs. Months later, I returned there with Captain Crunk, Danceformers, and a small cadre of friends and we took over the top floor of the club in celebration of my 26th birthday, where Scott and I again joined forces and played some super obnoxious electro-house tunes overly processed through VSTs in Ableton. In the past year, I had the opportunity to return to the club after it took on it’s new Filter moniker and new design, the club modernized its appearance, updated the soundsystem and by all accounts was ready to re-enter back into the spotlight. I was fortunate enough to appear as a performer at Filter twice, first appearing with the legendary Skream, and ultimately playing as a part of the TUFF Tuesday weekly.In memoriam, I have included a link to download a portion my TUFF DJ Set, for your listening pleasure. Many thanks to the clubs management, Pablo “The King of Clubs” and Johnathan Edwards for their hospitality towards me as a performer, promoter, and attendee of the number of events I was fortunate to attend at this location. Best of luck to the both of you in all your future endeavors.